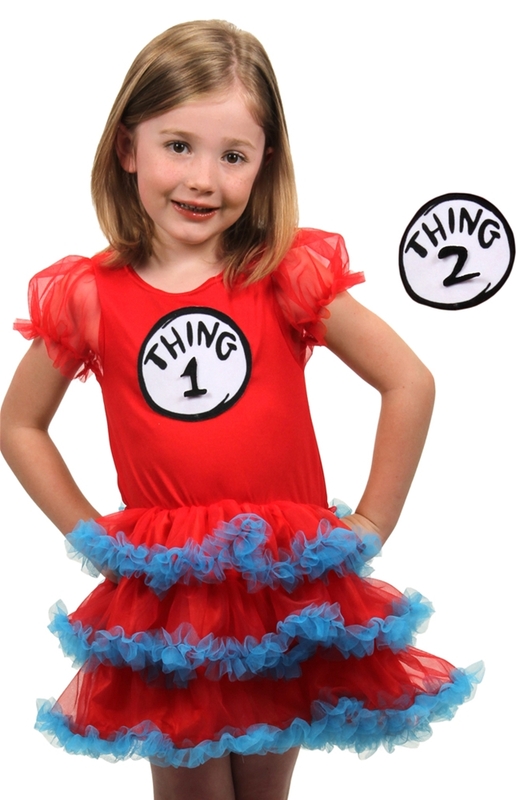 The Dr. Seuss Thing 1&2 Child Tutu Dress is an adorable costume idea for your little one. Costume is colorful and frilly. Item comes with the numbers 1 and 2--both have velcro attached to the back, so that your little one can either be Thing 1 or Thing 2. A must-have item for any Dr. Seuss-themed parties.